FERC Delays Implementation of Version 4 Cybersecurity Standards August 12 – FERC granted a petition for a six-month extension of the implementation deadline for Version 4 Critical Infrastructure Protection Reliability Standards (CIP v4). Since approving CIP v4—which updates the currently-effective mandatory cybersecurity reliability standards, FERC has proposed to approve a new set of standards—CIP Version 5 (CIP v5). If FERC approves CIP v5, the extension of time for implementing CIP v4 would allow regulated entities to transition directly from the currently effective standards (CIP Version 3) to the newly proposed CIP v5, without needing to implement CIP v4. In its CIP v5 Notice of Proposed Rulemaking, FERC suggested a direct transition to CIP v5. FERC Denies Rehearing of GMD Order August 8 – FERC denied MISO’s request for rehearing of FERC’s Order No. 779, which directs NERC to develop and submit Reliability Standards that address the risks to the Bulk Power System (BPS) posed by Geomagnetic Disturbances (GMDs). 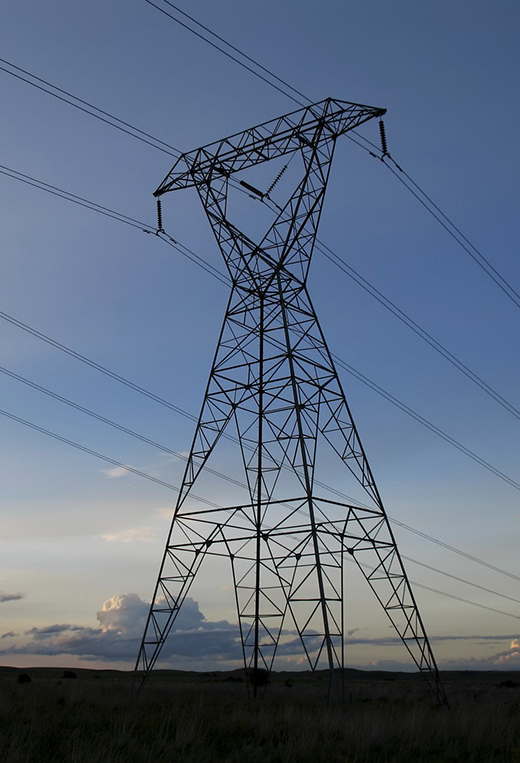 MISO had proposed that FERC allow NERC to address GMD risks through “Regional Criteria or guidelines” rather than through new mandatory Reliability Standards. NERC Requests Rehearing of SLECA Appeal August 19 – NERC requested that FERC grant rehearing of a July 18 order in which the FERC granted South Louisiana Electric Cooperative Association’s (SLECA) appeal of its NERC registration as a Distribution Provider (DP) and Load-Serving Entity (LSE). NERC argues that, contrary to FERC’s order, SLECA’s load is directly connected to the Bulk Power System (BPS) at high voltage, and that failing to register SLECA as DP and LSE would leave the relevant BPS facilities with no entity responsible for reliability compliance. NERC also challenges FERC’s determination that some of the facilities with which SLECA interconnects are not part of the BPS. NERC Issues Statement on 10th Anniversary of 2003 Blackout August 14 – NERC issued astatement on the 10th anniversary of the 2003 blackout that was the impetus for Congress adopting mandatory reliability standards and the creation of the electric reliability organization (ERO). FERC Approves NERC Budget True-Up Filing August 9 – FERC approved NERC’s report comparing budgeted to actual costs for 2012, which NERC filed with the Commission on May 30, 2013. NERC Issues Two New “Lessons Learned” August 21 – NERC issued two “Lessons Learned” documents providing guidance to industry participants on how to resolve problematic situations. The first addresses inappropriate system privileges that caused a loss of SCADA monitoring. The second deals with indistinguishable screens during a database update that led to a loss of SCADA monitoring and control. NERC Filings at FERC Recent NERC filings at FERC include: (1) Comments on the NOPR regarding Communication of Operational Information Between Natural Gas Pipelines and Electric Transmission Operators; (2) an August 14th Compliance Filing and an August 23rd Compliance Filing in Response to FERC’s January 16, 2013 Order, which approved a Settlement Agreement between FERC’s Office of Enforcement and NERC related to findings and recommendations arising from FERC’s 2012 performance audit of NERC; and (3) a Response of NERC and Reliability First Corporation to FERC’s July 30, 2013 Letter Requesting Data and Documents. NERC Board Approves New Reliability Standards, WECC Delegation Agreement, Other Matters August 16 – the NERC Board of Trustees approved the following items: (1) the 2014 NERC Business Plan and Budget; (2) the charter for the Electricity Sub-Sector Coordinating Council; (3) a Delegation Agreement and bylaws amendments to facilitate bifurcation of WECC into a Reliability Coordinator and a Regional Entity; (4) a resolution directing the Reliability Issues Steering Committee, an Independent Expert Review Panel and NERC management to respond to questions related to the development of a draft communications Reliability Standard (COM-003-1) for non-emergency situations that has failed to be approved by the required 2/3 margin after six ballots; and (5) three new Reliability Standards: PRC-025-1 (Phase 2 Relay Loadability: Generation), BAL-001-2 (Phase 1 Balancing Authority Reliability-Based Controls), and BAL-001-TRE-1 (Primary Frequency Response in ERCOT). White House Names McAfee Official to Top Cybersecurity Job August 19 – Phyllis Schneck, a vice president and chief technology officer at McAfee, was named the undersecretary of cybersecurity at the Department of Homeland Security (DHS). Additionally, the former deputy secretary of DHS announced the formation of a cybersecurity nonprofit organization that will focus on the goals of preserving an open Internet and adoption of best practices to secure computer systems against cyberattacks. DOE Hacked; Employee Information Stolen August 16 – According to an internal memo obtained by The Hill, hackers stole the names, Social Security numbers, and other personal information of approximately 14,000 present and past DOE employees. The hackers have not been identified. DOE Issues Report on Economic Benefits of Increasing Grid Resilience August 12 – DOE released a report on the benefits of increasing the reliability and resilience of the U.S. electric grid. The report, which was prepared by the President’s Council of Economic Advisers and the U.S. Department of Energy’s Office of Electricity Delivery and Energy Reliability, estimates that weather-related outages cost the economy an average of $18 to $33 billion per year. The report finds that weather-related outages have become the single leading cause of outages in the electrical system, and that both severe weather and weather-related outages have increased substantially since 1992. Regional Delegation Agreement Developments – FERC approved amendments to NERC’s delegation agreement with TRE that update TRE’s Compliance Monitoring and Enforcement hearing procedures. NERC petitioned FERC for approval of amendments to its delegation agreements with SPP and WECC. NERC and WECC Jointly Petition for Approval of Two BAL Reliability Standards August 20 – NERC and WECC submitted a petition for approval of proposed regional Reliability Standard BAL-004-WECC-02 and BAL-001-1. In conjunction with the proposed Reliability Standards, NERC is also seeking approval of the associated implementation plan, VRFs and VSLs, and the approval of two new or revised definitions in the NERC Glossary of Terms for Area Control Error (ACE) and Automatic Time Error Correction (ATEC). WECC RCCo Membership and Board of Directors Election August 19 – WECC issued a notice that it is in the process of facilitating elections for the remaining four positions on the seven-member board of the newly formed Reliability Coordination Company (RCCo). Additionally, WECC posted the Application for RCCo Membership and Online RCCo Registration Form for current WECC members. WECC Issues Summary Report of the 2013 Operational Practices Survey August 19 – WECC issued its Summary Report of the 2013 Operational Practices Survey. In 2012, WECC instituted an annual voluntary Operational Practices Survey (Survey) to assess issues identified in the FERC and NERC “Joint Report on September 8, 2011 Arizona-Southern California Outages.” The Summary Report contains a summary of the Survey responses and a comparison to the 2012 Survey responses.